The Reserve Bank of Australia is setting up a "New Payment Platform" to make cashless payments easier. This is a good development. Thanks to my brother, Joseph Kimball for pointing me to the article at the top, as he points me to so many other useful articles. There are two interesting things to note about this Australian initiative. 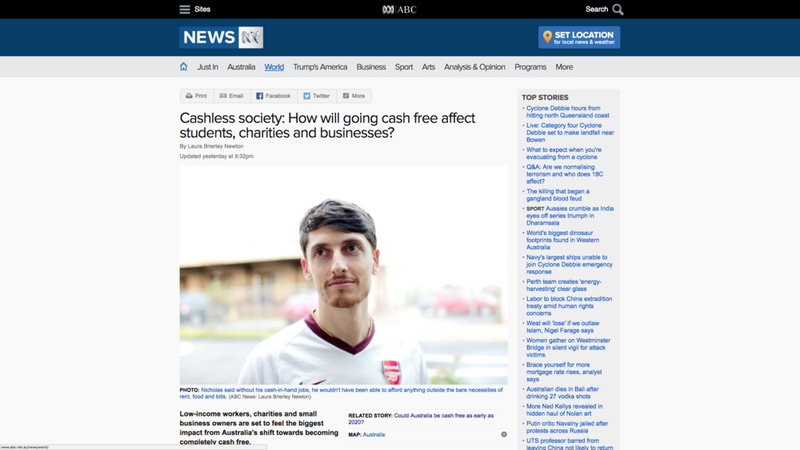 First, the benefits of a possible future cashless economy for tamping down tax evasion are being emphasized in Australia. This is an emphasis right out of Ken Rogoff's book The Curse of Cash, which I wrote about here. Second, there is too little discussion of the benefits of bringing down fees for cashless payments by if financial technology innovators are allowed to use the New Payment Platform. The top article above doesn't mention fees at all. The bottom article mentions that some retailers are leery of going more to cashless payment because they pay fees of 1.3% to 1.5%, writing as if that level of fees would continue into the future. That is not the way it should be. The Reserve Bank of Australia should do all it can to overthrow the credit card oligopoly by making it easy for financial technology innovators to use the New Payment Platform. I suspect that a 1.3 to 1.5% decrease in the GST ("Goods and Services Tax") would be quite popular in Australia. 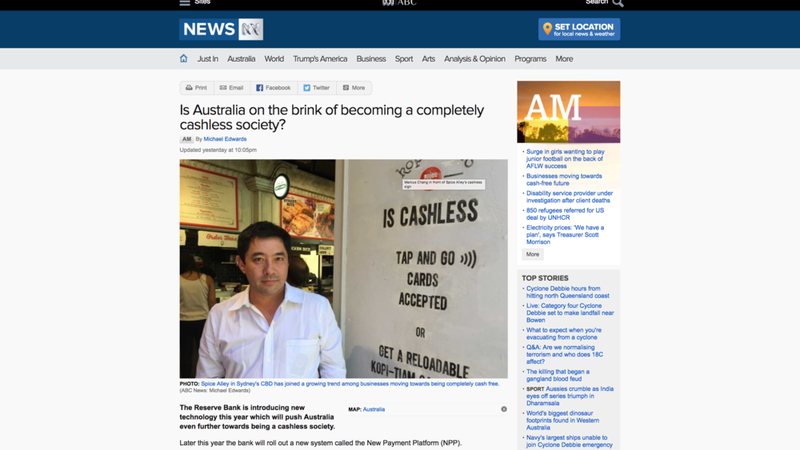 A reduction in cashless payments fees to a nominal amount would have a similar effect on the Australian economy and Australian households—with the one difference that services provided by the government and the Australian government's credit rating can be preserved since the credit card companies take the hit rather than the government budget. There are some fixed costs to a payment system. It is quite appropriate for the government to pay those fixed costs, then allow financial technology innovators to plug into the system at marginal cost. The lower fees, leading to greater use of cashless payments will ultimately help tax revenue more than enough to make up for paying that fixed costs and then letting competition among financial firms do the rest. Incumbent financial firms will want the government to put obstacles in the way of new competitors. A simple rule can avoid this. If any new financial firm demonstrates that it has 100% of its assets in reserves with the Reserve Bank of Australia, it should face only regulations about dealing fairly with consumers and about reporting potentially criminal activity, and should be exempt from other banking regulations.